Website layout tiles is a product or system for building quick visual flowcharts and sitemaps for client and project work. My first versions were done back in 2005 believe it or not when I worked on a project for the BBC here in the UK. 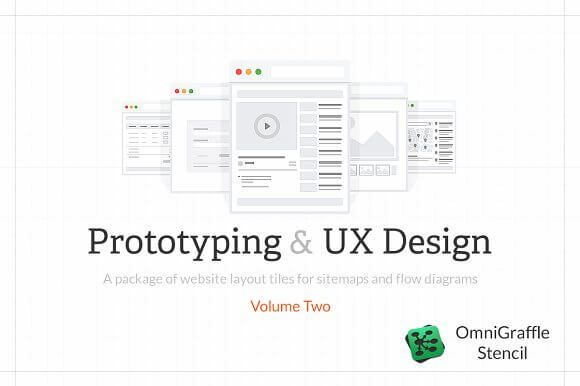 I needed to put together an initial functional outline for the project and we didn’t have time to build wireframes or prototypes so I put together a ‘sitemap on steroids’ as I called it at the time. This illustrated our initial proposal and used them as the focus and idea generator for much of the discussion for the project. Over time I have developed the visual look and feel for the tiles and find myself using them in just about every project I do. From my own perspective they have been valuable when dealing with ‘green’ clients who are not necessarily comfortable talking about site structure or page types, so the sooner I can get a familiar layout pattern in front of them the sooner they start to feel comfortable and the project starts to move forward. Hope you enjoy using them as I do.